← Wishing you a Colorful and Happy weekend! 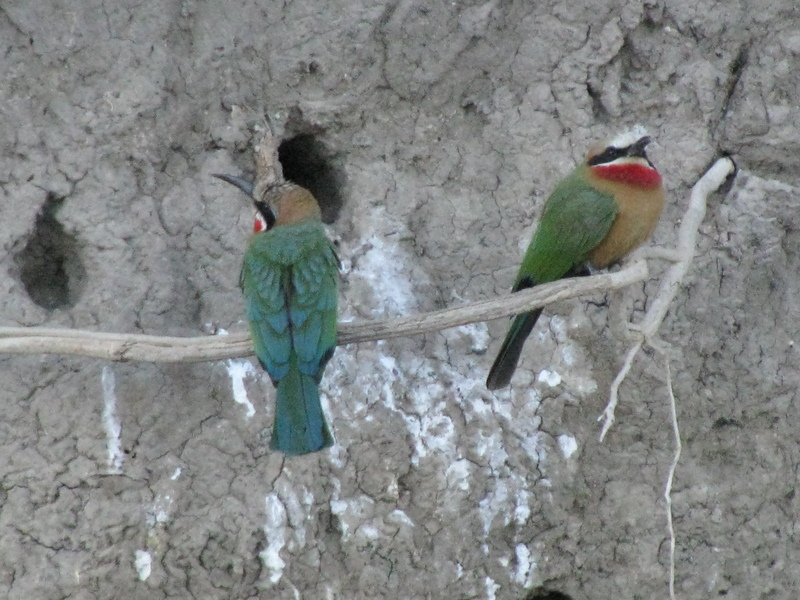 This entry was posted in Africa, Travel, Travel Photos and tagged Africa, Bee-Eaters, Birds, Nature, Photography, Photos, Travel, Travel Blog, Travel Journal, Travel Photo, Travel Photos, Wildlife, Zambezi River, Zambia. Bookmark the permalink. Wow! I would love to see this in person! Gorgeous birds. Thanks for posting! I loved their colors! Thanks Nia. I like these birds! Very pretty colors! They are such delightful creatures. So small and colorful! Very colorful. I like them. This was the first time for me and I thought they were adorable. Beautiful colours. They remind me of kingfishers. Yes! Kingfishers are also lovely birds. And they look so sweet. Thank you for the nomination. That is so very kind of you and congrats to you! I don’t usually see cute and predators in the same sentence, but I agree.